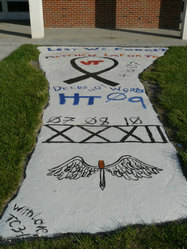 Cadet memorial to Matthew LaPorte on graffiti slab in front of Schultz Dining Hall. Photo taken Monday, April 30. Cadet Matthew LaPorte was laid to rest in Blacksburg. 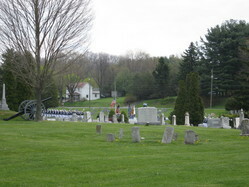 The Corps of Cadets marched to the cemetery to pay their respects.